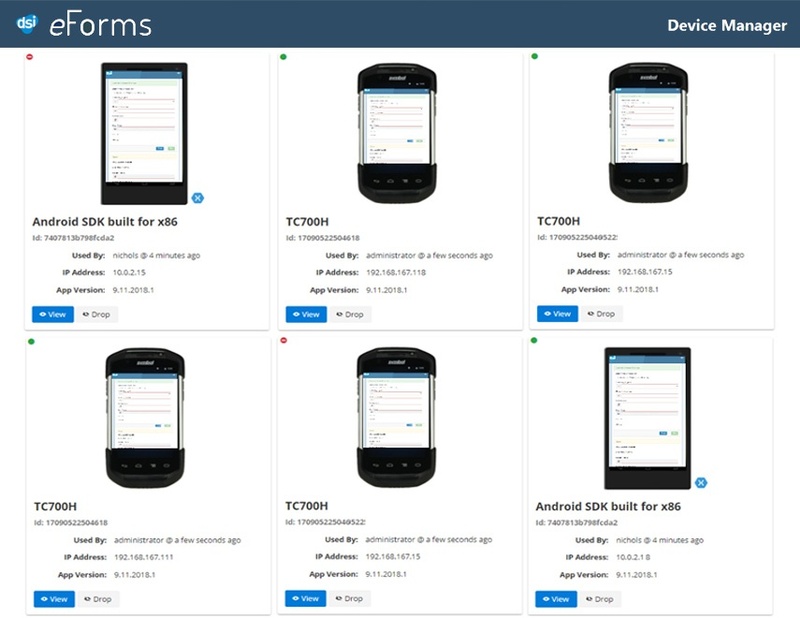 eFroms Mobile App - New Device Manager. When an entry was made. Every Field and Form, Every Time. Know what is accessing your system! eForms is a collection of entries made on eForms you create. 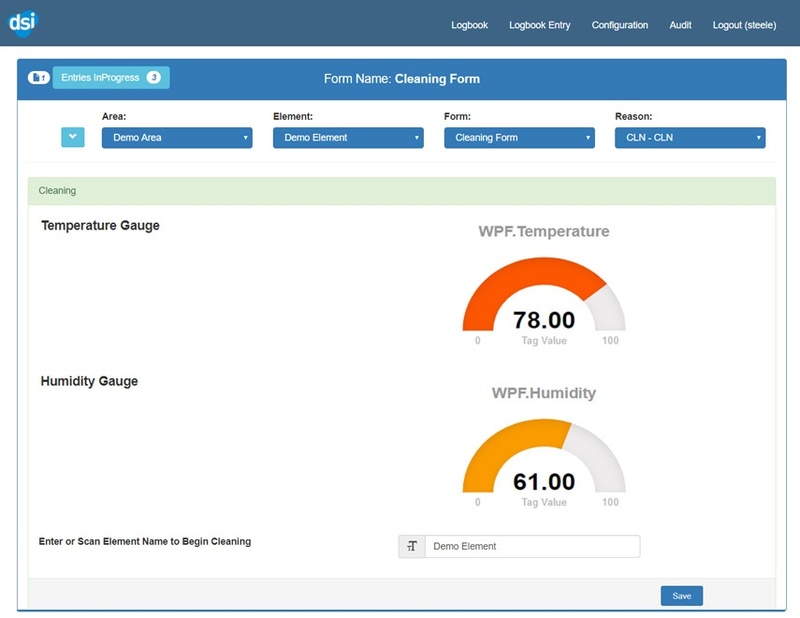 Employees and automated systems use an eForm to log information. You are in control. Collect as much or as little information as you need. eForms can be filled out all at once or in a sequence of saved and resumed steps. Even with all this power and flexibility, eForms is easy to use and lightning fast. eForms Elements, the DNA of the 'Digital Twin.' Express people, places or things in your operation with Digital Twins. You decide what to track and the level of detail and create a Digital Twin with Elements. Make Digital Twins of buildings, equipment, workers and more. It's not limited to the physical, use DTs for plans, SOPs, or Work Instructions too! 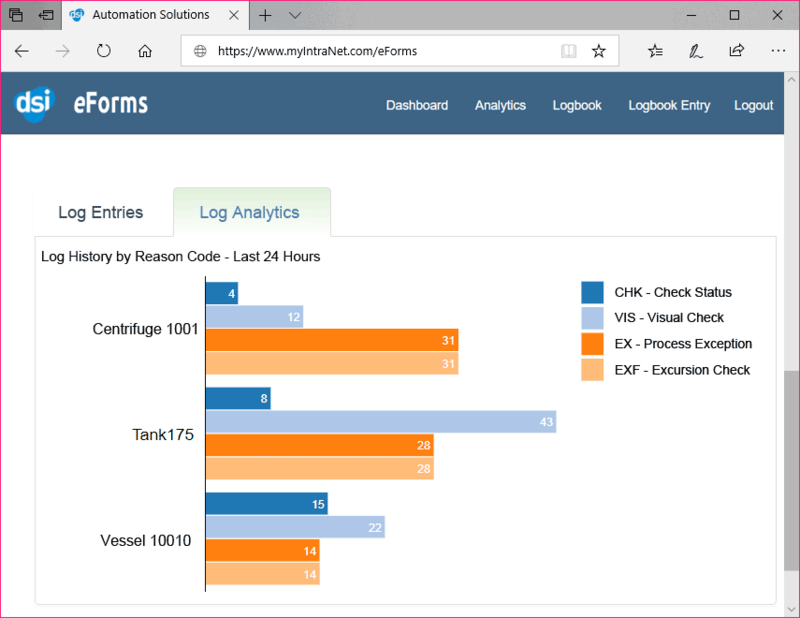 eForms Automation capabilities, a substantial cost-saving feature of eForms, gathers data from a plant's digital systems to make automatic entries. Human tasks are now automated and in real-time! eForms includes Smart Form Scripting to automate the process of filling in a form. Update and change a form's values based on events and user and automated input. Get mission-critical data on eForms you create. Use eForms to log information from automation systems or users on web browsers. Fill out eForms all at once or in saved and resumed stages. Associate eForms with equipment, tasks, and areas. Smart Form Scripted field entries and more! Even with all this power and flexibility, eForms is easy to use and lightning fast. Other Custom Solutions Can't Compare. 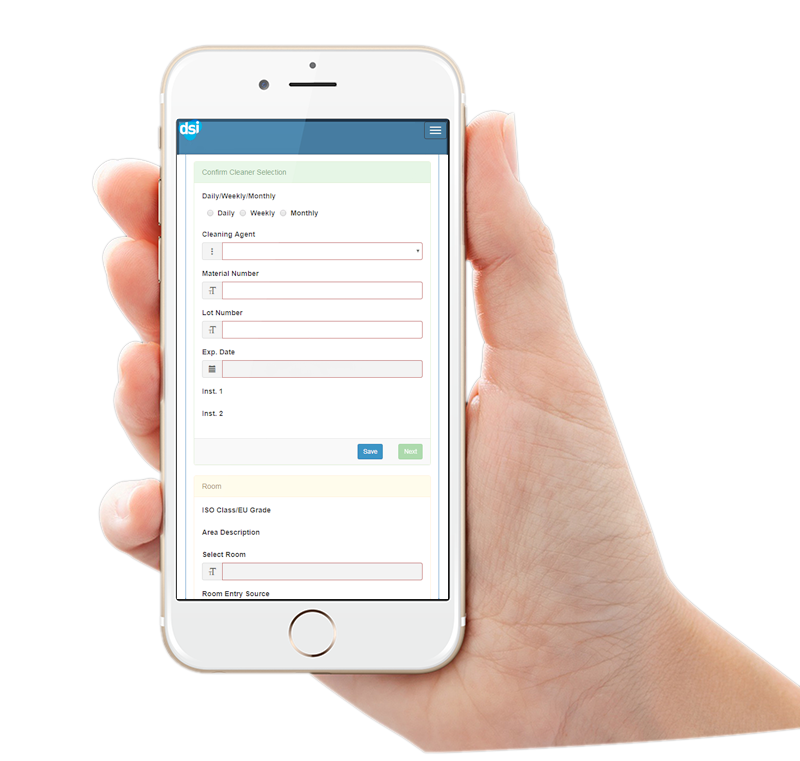 eForms can interact with manufacturing systems and make automated entries for you. Best of all, it can be seamlessly integrated with each of the systems below. You can access you eForms on our responsive mobile-friendly website or through our mobile app for Android and iOS. We even support QR codes! We have saved our company so much time and made our logbooks more accurate, timely and easy to update with eForms. Now our other sites want to know how we did it! Deadline Solutions is always there when we need them. I feel like they are looking out for us as if we were their only client! We trust DSI to create solutions and solve problems with urgency and dedication as if they were a resource from within our own company. I thought no one could unravel the complexities if our DCS and MES, Deadline Solutions proved me wrong and gave us the solutions we were looking for. Custom App? Off-The-Shelf? eForms, The Best of Both Worlds! In today's modern push for automation efficiencies, Your competitors are looking for every edge in bringing their product to market. eForms is an efficiency you can't afford to be without if you are spending time with paper forms and logbooks. eForms is not industry-specific, but it allows you to make it unique to your company and needs quickly. You can create electronic forms or electronic logbooks to any level of detail you need. eForms: It does what you need it to precisely. Powerful scripting tools help to create accurate and streamlined forms hooks into modern automation systems even create many entries automagically, so you don't have too!us. eForms has fully qualified system installations to meet the rigors of regulated industries. Fron SQL Server and Blockchain, eForm uses trusted infrastructure and platforms to be able to run on high availability systems with redundancy as deep as you require. Installed on a private or public network, you can leverage your in-place network security infrastructure. 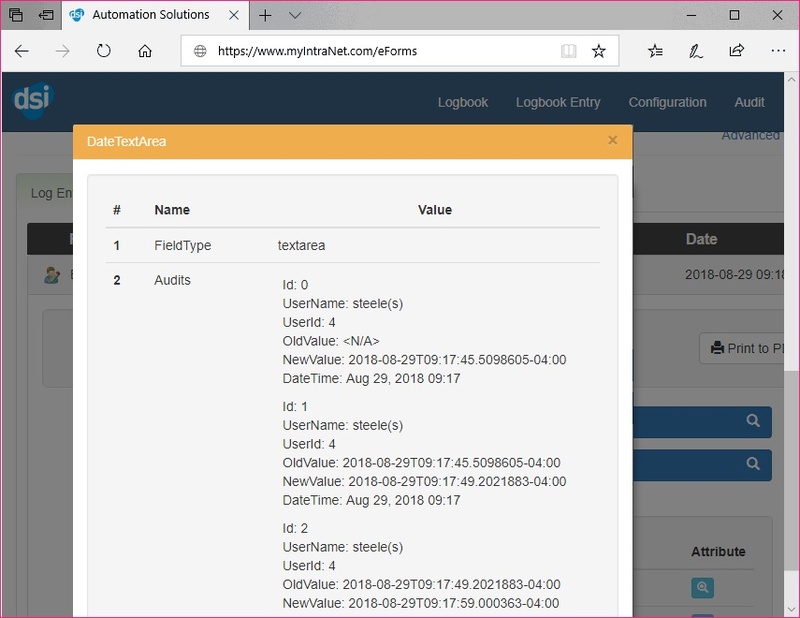 eForms keeps user authentication and management in your existing domain servers. Whether you work alone or in a fortune 500 company, eForms scales to fit your size. eForm scales from a laptop to a server farm, from local area network to a global VPN. We're always happy to chat about the what, why, and how of what we do. Get in touch with us and start the conversation. DSI, located in Syracuse, NY USA provides software solutions for DSC, PLC, SCADA automation systems and more. We have software solutions that meet the needs of the manufacturing and pharmaceutical industries. We can provide software ready for validation (cGMP Commissioning, Qualification, etc.) and CFR 21 Part 11 compliant.